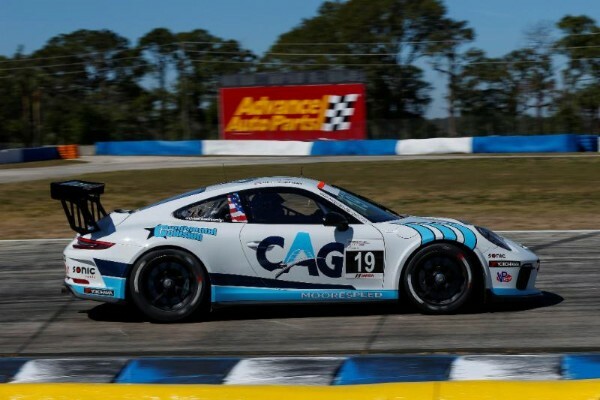 Will Hardeman led less than 30 seconds of Friday’s Porsche GT3 Cup Challenge USA by Yokohama race at Sebring International Raceway, but that’s all it took for the driver from Austin, Texas to score his first career victory in the series in the No. 19 Moorespeed Porsche 911 GT3 Cup machine. Hardeman was third in the GT3 Cup Challenge USA Platinum Cup class when the final lap of the race began, and he remained in that position heading into the 17th and final turn on the 3.74-mile circuit. That’s when the drivers running first and second – Trenton Estep in the No. 3 JDX Racing entry and Roman De Angelis in the No. 1 Kelly-Moss Road and Race Porsche – tangled and spun. The incident handed the overall race victory to Zach Robichon in the No. 98 Mark Motors entry in the Ultra 94 Porsche GT3 Cup Challenge Canada by Yokohama – competing in its second and final combined event with the USA series this season – and gave Hardeman the USA victory. Estep, who originally took the lead from polesitter De Angelis on a restart with five-and-a-half minutes remaining, recovered from the spin to come home second, 6.549 seconds behind Hardeman. Estep also won Thursday afternoon’s season opener and finished the weekend with a pair of podium results. Anthony Imperato completed the GT3 Cup Challenge USA Platinum Cup podium, taking third in the No. 91 Wright Motorsports machine. Another Wright Motorsports entry, Charlie Luck, came home fourth overall and claimed an emotional first Platinum Cup Masters victory in the No. 45 Porsche. In GT3 Cup Challenge USA Gold Cup action for Porsche 911 GT3 Cup race cars built between 2014 and 2016, Victor Gomez IV swept the weekend with his second victory in as many days aboard the No. 25 NGT Motorsport entry. As Gomez mentioned, it was a much closer battle on Friday. That “Mentos car” was the No. 26 driven by Egidio Perfetti, his NGT Motorsport teammate. After winning by more than 14 seconds on Thursday, Gomez’s margin of victory Friday morning was just 1.177 seconds. Perfetti also won the Yokohama Hard Charger Award in the Gold Cup class. Rob Ferriol was third in Gold Cup, his second podium result in as many days. 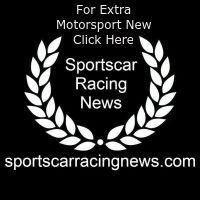 Next up for GT3 Cup Challenge USA is a doubleheader at Barber Motorsports Park on April 21-22.